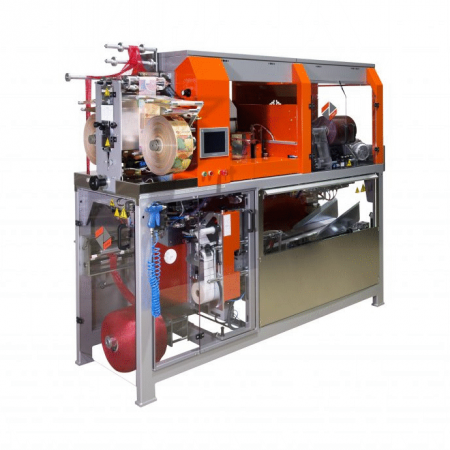 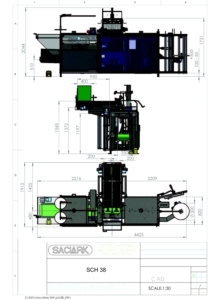 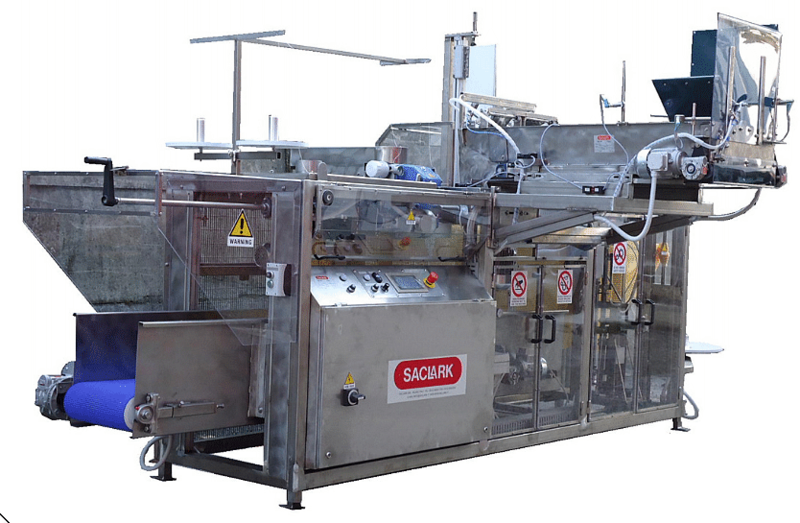 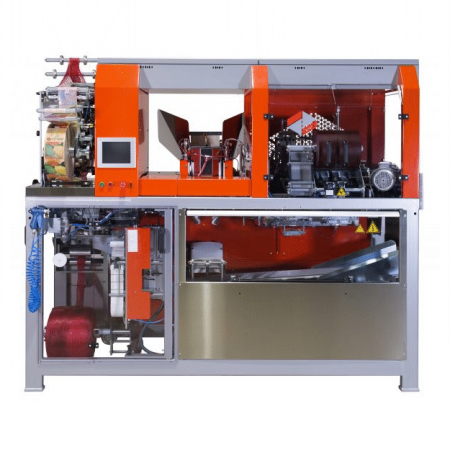 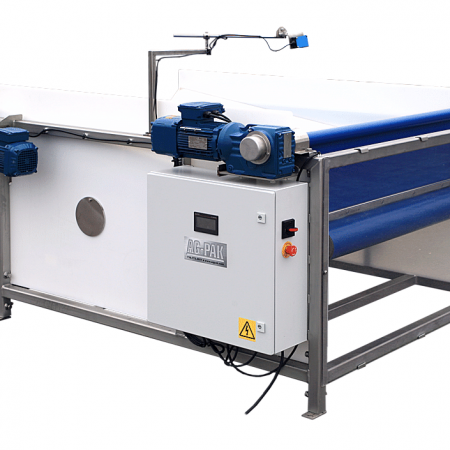 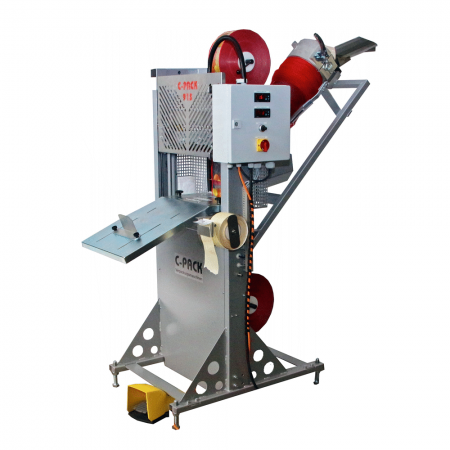 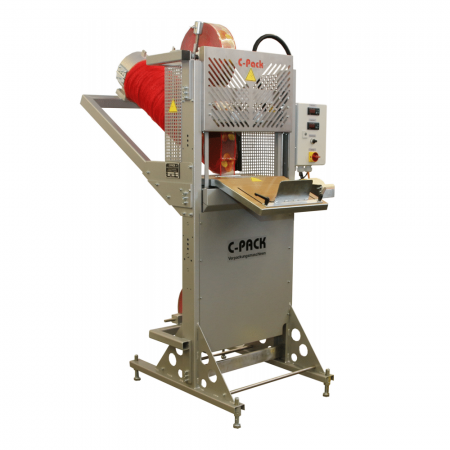 The SACLARK SCH38 Automatic Net Bagging Machine is a master baler for counting and filling small bags (net bags with wine glass label, Carry Fresh bags, Girplus or C-PACK bags) into a master bag. 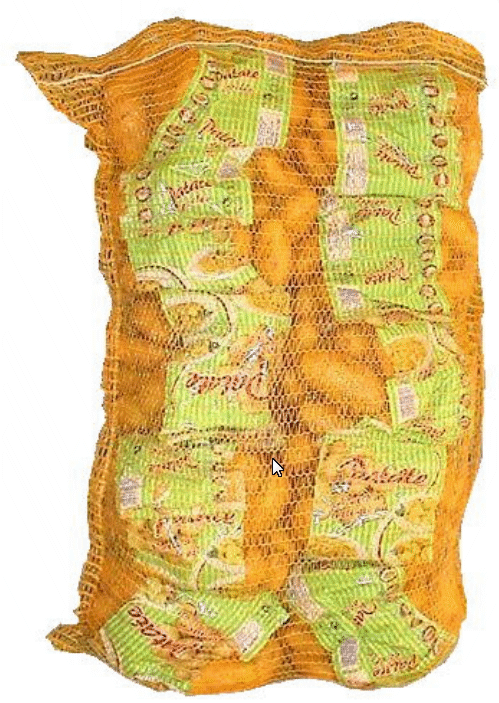 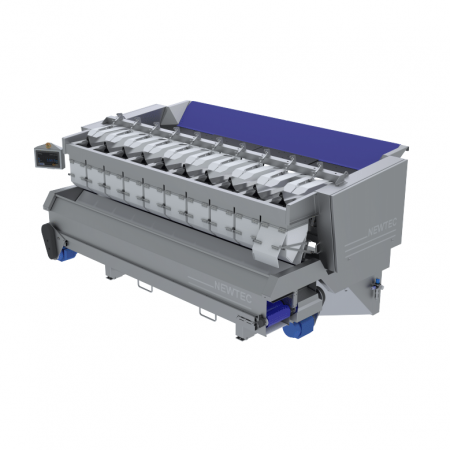 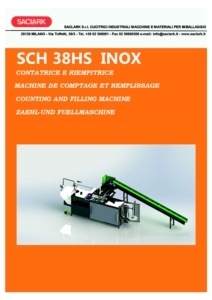 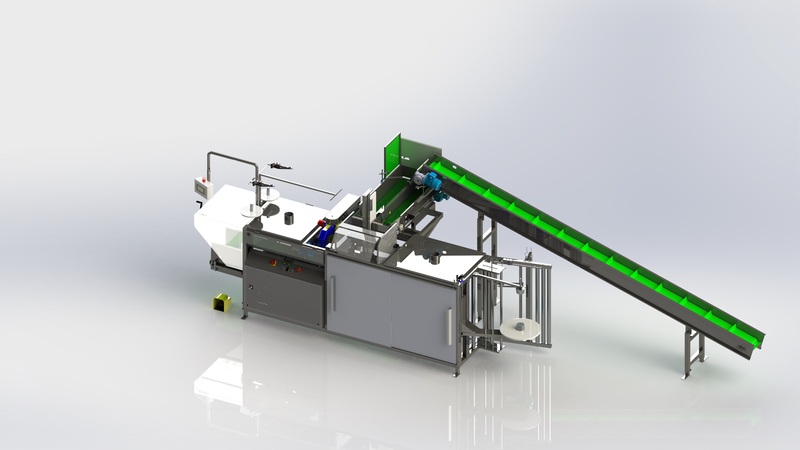 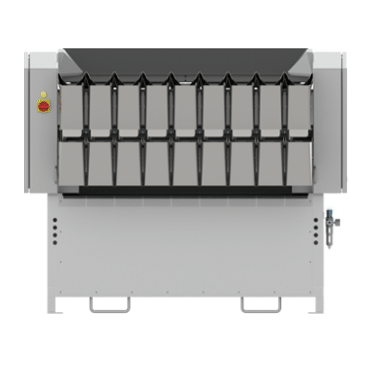 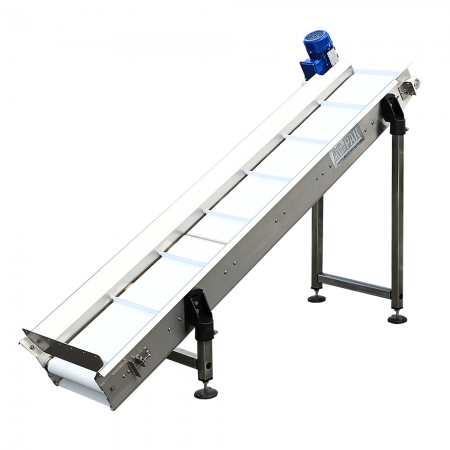 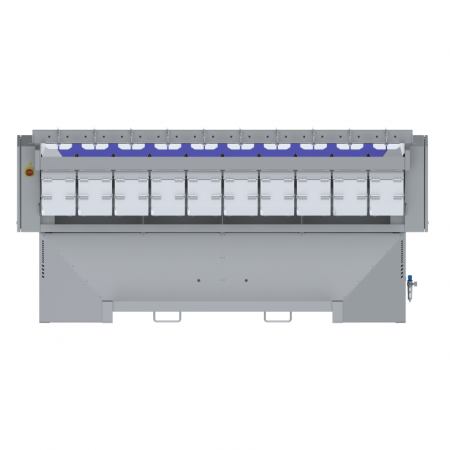 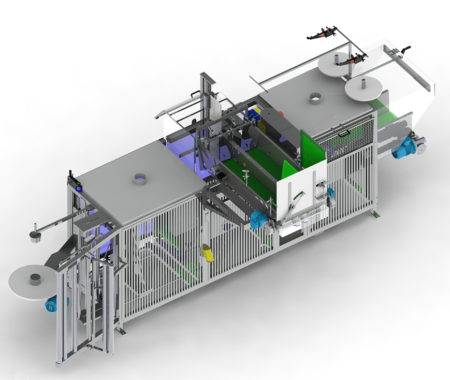 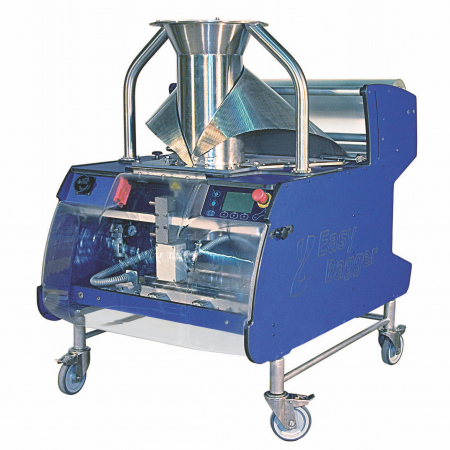 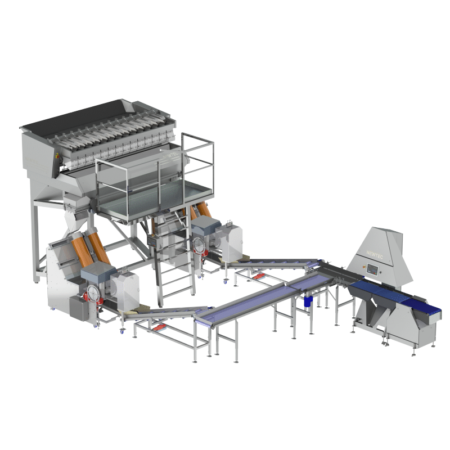 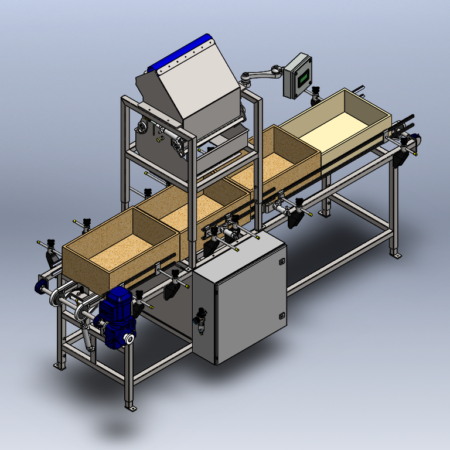 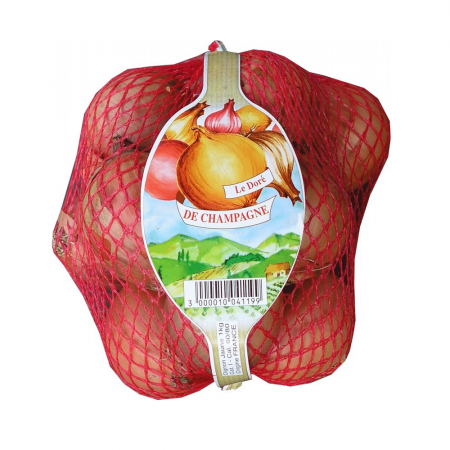 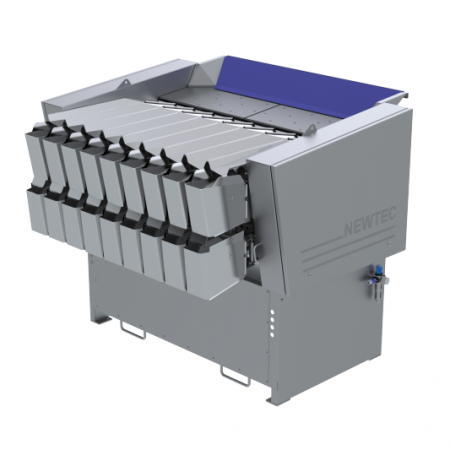 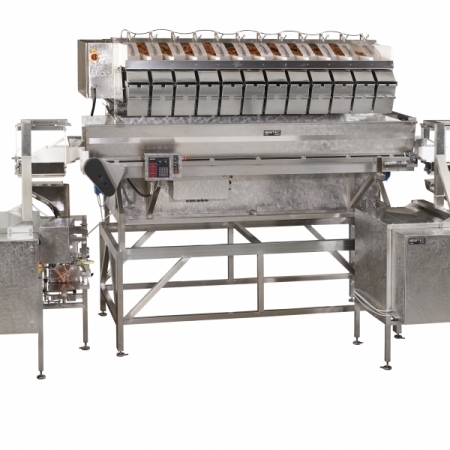 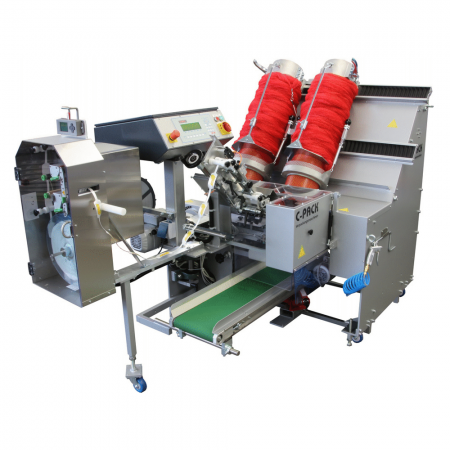 Ideal for onions, the SCH38 can be used also as a standard raschel mesh bulk-bagging machine for 20lb, 30lb, and 50lb bags. 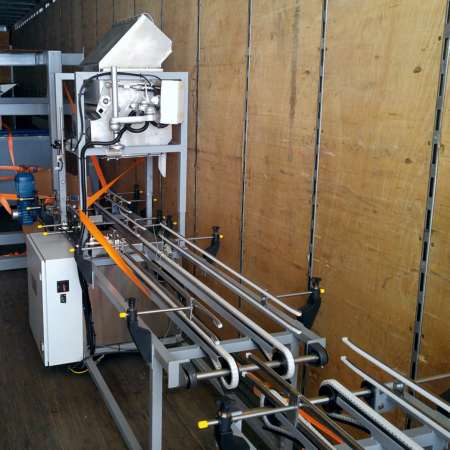 The bags flow into the Master bag from a infeed conveyor. 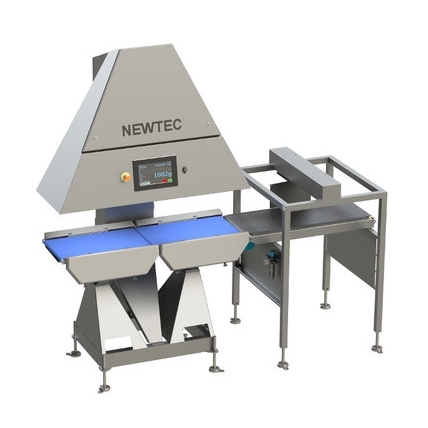 The counting system is able to count at least 70 bags per minute positioning them into the master bag, which is sewn closed. 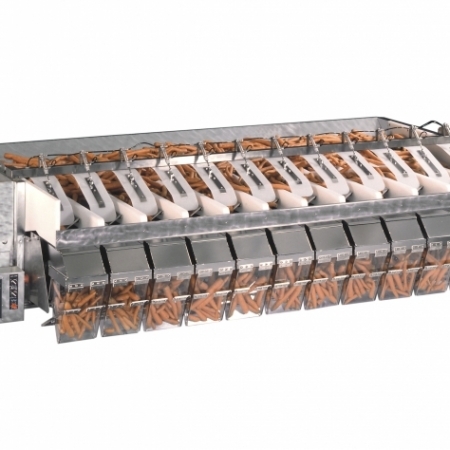 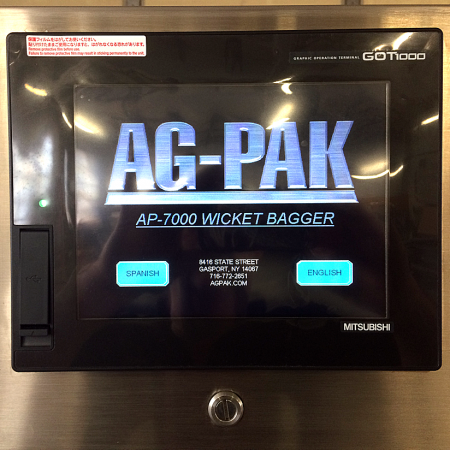 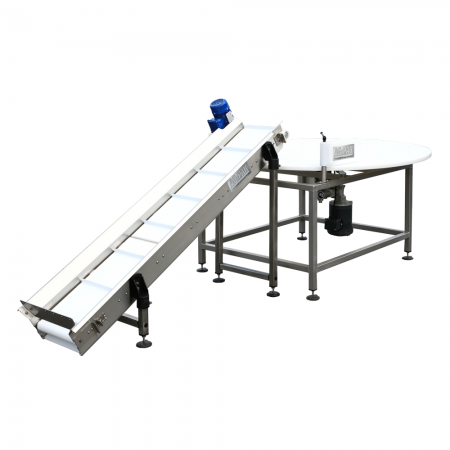 When the master bag is ready, the accumulating system continues to collect bags without stopping the infeed conveyor. 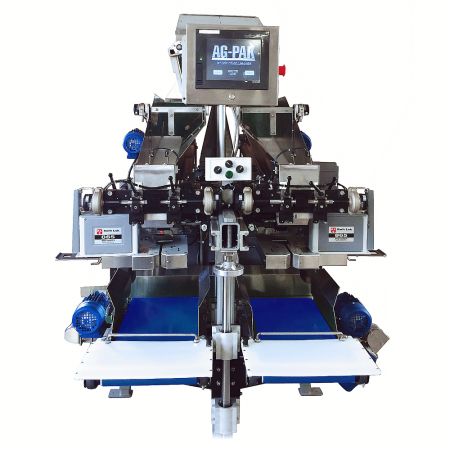 Options are available that will allow the machine to be connected to a computer-controlled label printer with EAN codes which prints on the polyethylene strip.